According to Global Recruitment Trends 2017, 8 out of 10 global HR leaders perceive talent acquisition as a top priority. Clearly, one of the most pressing challenges organizations face is a shortage of skilled labour. At the same time, statistics also state that 56% of companies globally expect a higher hiring volume without an expanded recruitment team. As a result, it poses a major challenge to the HR team who are expected to go the extra mile to get creative in hiring the best talent. This is exactly where video job descriptions come in handy with their highly personalized and impactful approach to hire the right talent! What Are Video Job Descriptions? 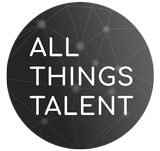 The competition for talent in the market has breathed life into the new era of online talent acquisition. What can you do to differentiate your job offer without spending a fortune for getting in front of the talent acquisition bandwagon? It takes only a mere 50 seconds to a minute for a job seeker to review a single job offer before jumping on to another one. Therefore, you only have like a minute to create a striking first impression and emphasize your employer brand through a fitting job posting. Obviously, job descriptions that are not that exciting or intriguing will drive away prospective candidates. Painfully dull text job descriptions are simply not able to create a much-needed impact. Enter Video Job Descriptions! These job descriptions typically feature one or more videos to help position a job opening, attract and engage top talent. With lilting content, you will be able to communicate with your prospects effectively and grab attention. How Video Job Descriptions Help You Find The Right Talent! Here are some ways in which video job descriptions can boost your talent acquisition efforts! Every candidate out there wants to feel a positive vibe with the company’s culture and ensure that they are indeed the right fit. In, a video job description you can include footage of your office or have the CEO telling the story of the company and its mission. Actions speak louder than words and such a visual interpretation will convey to the candidate how amazing your workspace is. According to a study, video job descriptions get 487% pop over text job descriptions. Candidates spend triple the time more than they do on textual job descriptions. Now, this is one clear differentiation point! Nowadays, everyone goes online to find a job and hence job ads should be crafted with SEO in mind. In order to capture the attention, you need to become Google-friendly. And what does Google adore? Videos, or visual content. This is because videos attract three times more inbound links for a higher ranking. In addition, it also helps you leverage on the second largest search engine, YouTube. When you link your video with top searched keywords, it is bound to generate more interest towards your job posting. With the new mobile rage, you also need to adapt your content to be mobile-friendly. What better way than a video which can easily be played in a mobile device? The current need for more rich-media than ever makes video job description a viable solution. Best Practices To Create Effective Video Job Descriptions! Here are some tips to create engaging video job ads to aid in hiring employees! Keep in mind that we are a snack-sized society. A long video with irrelevant content can get skimmed through and might lead to a ton of unqualified applicants. Include the most relevant information like the transparency of the responsibilities, skills or qualifications required, salary and benefits provided. And, mainly be open about your company, its values, goals, and mission. Attention should be retained throughout the video with the right emotions so that your message is not forgotten. Job seeks are interested to learn how it would be like working for an organization if they were hired. Include footage of the office, workspace, how employees interact and events that happen at the organization. This will give a fair idea to determine if the job would be the right fit for the candidates. The average length of an online video is 4.11 minutes. Make it the right length — long enough to explain the most important information, yet short enough so that the candidates don’t lose interest. In addition, ensure to include the link to the employee’s career webpage and social media. Also, include the name and email of the individual responsible for hiring to speed up the application process. It’s simple and persuasive! Have your own employees talk about the career opportunities and working environment that the company provides them. This will only establish a sense of personal connect and trust with the potential recruits who are watching it. Just ensure that the employee testimonials don’t seem scripted and forced. Industry giants such as Google and Facebook use captivating videos to recruit potential employees. Your video should specifically highlight the unique strengths and benefits that only your company offers — like opportunities for self-development, social initiatives, shorter work weeks, paid vacation, employee empowerment and more. Craft such an exceptional video that even after they close it, it stays fresh on the job seeker’s mind. You can also create videos that can be useful for multiple job openings, by working on the right content and highlighting the unique benefits of working with your company. The best job descriptions combine tidbits of marketing, the reality of the role, the required skills and competencies and the organization’s culture. The right way to include all those pieces is to culminate them all in a single, short and crisp video. Looking For A Way To Share Your Video Job Descriptions With The Candidates? With iimjobs.com, It Is Easier Than Ever! If you want to give potential candidates a ‘visual’ sneak peek at what your company and the profile is all about, iimjobs.com now offers a nifty little tool to upload your video job descriptions, along with the jobs! You can also add links to the YouTube videos you’ve created for the purpose. Check it out while posting your next job on iimjobs.com! Like media resumes, video job descriptions are more effective at ensuring you find the right fit, since there’s nothing better than a visual medium to convey what you really need from a candidate! Traditional, wordy job descriptions are passe — it’s time to go the video way! Previous ArticleThe Kapil Dev Masterclass – HighlightsNext ArticleHere’s How Reverse Mentoring Is Revolutionising The Workplace!